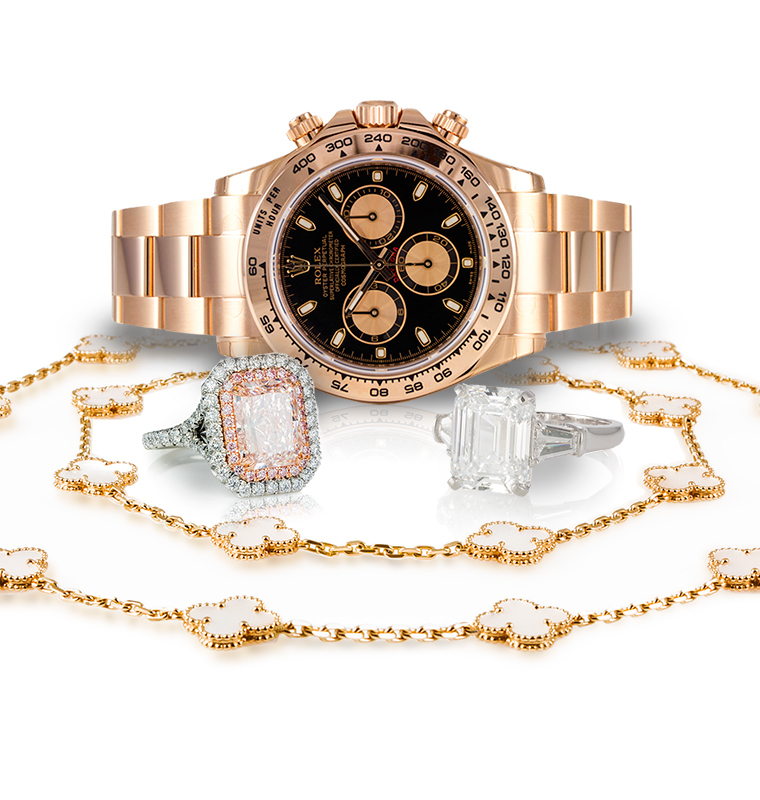 It’s no secret, Ideal Luxury can get you that watch or jewelry you’ve been searching for. Recent nationwide articles in Coast Magazine, The OC Register, The New York Post and WealthManagement.com have attested to that fact. For years now, we’ve been fulfilling our clients dreams by locating those hard to find, rare luxury pieces they can’t get anywhere else, at a price that can’t be matched. Whether you’ve been seeking that hard to find vintage Rolex, Panerai or Patek Philippe watch, rare jewelry piece from Cartier, Van Cleef & Arpels or Tiffany’s, or a custom piece of jewelry designed for you or your loved one, Ideal Luxury is your prime resource to get them at a fraction of the cost. But what about the rest of your wardrobe? Does it make sense to pair your recently acquired fine watch from Ideal Luxury with an outdated outfit from the back of your closet? Just like fine watches and jewelry sometimes you need an expert to help you find those much needed wardrobe items. Which is why Ideal Luxury likes to establish relationships with trusted businesses who’s services benefit our clients. For clothing and accessories, that business is Rod Alan. Rod Alan’s showroom is the number one source for luxury wardrobe design for both men & women along with accessories in Orange County. From custom wardrobes to personal shopping and styling, Rod Alan delivers a level of service to their clients on par with what Ideal Luxury provides to ours, which is why we can confidently refer our clients to them time and time again. More than just a source to purchase luxury clothing, Rod Alan is a wardrobe designer and personal stylist unlike any you’ve experienced before. For more than 36 years, Rod Alan Baker has earned a reputation as a “clothing psychologist,” unlocking and sharing the powerful, however, overlooked relational effects of your dress. 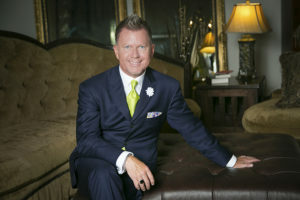 He has gained a celebrated name in the industry by teaching his clients how to communicate and relate more effectively with their dress without ever saying a word. Your clothes speak long before you do, and Rod has shown over a million people that knowing who you are on the inside can help you reflect your true self on the outside. His simple “Extraordinarily You” concept will help you dress for every situation and every person you meet, and it will bring the same confidence and authenticity to all other aspects of your life. Rod is the author of the life-changing book Extraordinarily You: From the Inside Out. As the first book in a lifestyle series, Extraordinarily You will help you discover the true masterpiece that you were created to be, and help you communicate it accurately to the world. Rod shows how your clothing is a unique “dress language” that can pave the way for you to deliver your message authentically and effectively. Although it is a simple concept, it is a paradigm shift in what you have been taught about clothing, image, and communication. As your luxury concierge, part of Ideal Luxury’s business is putting our clients together with the luxury watches, diamonds and jewelry they desire. We do this through expert knowledge in our field and personalized customer service that has built great trust with our clients. When it comes to luxury clothing and accessories however, we consistently refer our clients to another trusted expert, Rod Alan. To learn more about Rod Alan, or make an appointment to see their showroom, visit their website at rod-alan.com or call them at (949) 625-4526. Rod Alan is offering a $100 gift this holiday season to clients who have made a purchase at Ideal Luxury. As the fall season is upon us, it’s the perfect time to visit their showroom, and take advantage of this offer to start building your new wardrobe for yourself or a loved one. Rod Alan’s current sports coat package is the perfect way to begin fall as a gift, with a sports coat, Georg Roth designer shirt and a pair of jeans of your choice.